As we all know, making gold is quite important in a game. And Blade & Soul is without exception. When your character goes to high level, you can enjoy more benefits such as weapons and packs. 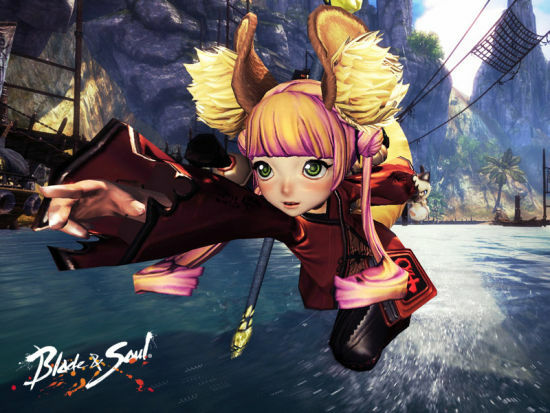 This is a guide to offer some tips and tricks to help Blade & Soul players level fast in game. This is the beginning of the game, just complete some tasks to level up quickly. Or you can choose to beat the zombie boss when reaching level 9. If you can use trigram strike, the critical attack looks great. If possible, try to beat the zombie boss with critical attack at the beginning for quickly and efficiently leveling up. At this stage, you can play the scorpion dungeon. You are allowed to beat 50 scorpion bosses at one time. You can get more than 10 EXP with each scorpion, which means 50 scorpion bosses can bring you more than 500 exp points. However, when reaching level 17, it is relatively harder to get exp. At level 20, you will confront polluted cave where you can play polluted cave while completing quests. When reaching level 22, you can focus on the polluted cave, which may help you get more than 4000 exp. It is kindly remind you that you are allowed to play the polluted cave dungeon every 10 minutes. You can upgrade by 2 levels within a hour. As exp will decrease after level 28, just enjoy this benefit until you reach level 27. At level 29, you are allowed to beat Kongou which can give you more exp. When reaching level 30, all you need to do is to complete quests till you reach level 36. It is waste of time playing dungeons at this stage. If all the quests are completed, go to the ease cave or the shadow to continue. When reaching level 36, just focus on upgrade. At level 37, go to the Red Leaves Mountain Villa to upgrade by beating. It is easy to get 96 exp by beating a pig, however, it is not enough for fast upgrade. It takes less time if you can use skills. Once reaching level 42, go to the heaven temple! You can beat monkey boss which can give you 100 exp of each. If you are a Kongou, it is not suggested you do this. And you should complete the quests and go to the Misty Forest where you can play the imperial base, which can help you get Blade & Soul gold, potions unblocking repair props, etc. Or your can play the spider cave to get more rewards. But I have to mention it is difficult to play spider cave, which requires technical skills to complete the corresponding quest. You can reach full level before you play the four Big Dungeons!